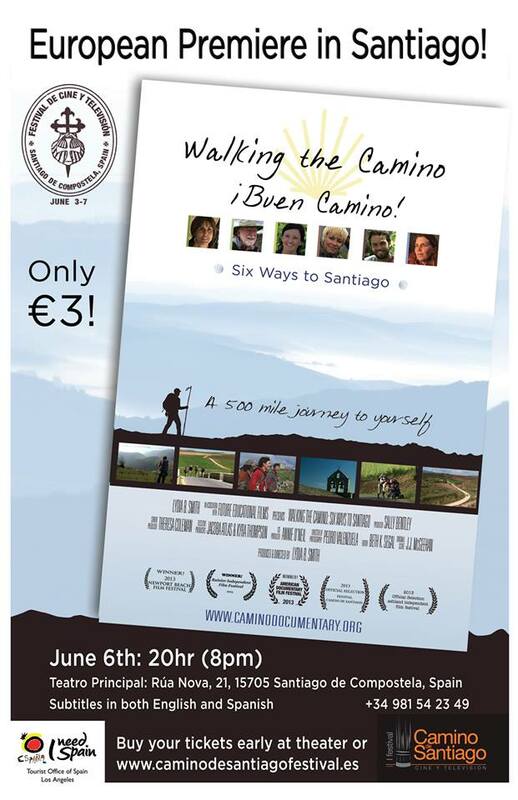 Lydia B Smith’s movie: The Camino Documentary (Walking the Camino) will be playing in Santiago June 6th in Santiago de Compostela. Will be a special event and screening during the 1st Camino Film & Television Festival June 3 – 7, 2013. Hope you can join us and share in this special CAMINO Experience! This entry was posted in Camino Inspirations!, Camino Stories & Syncronicities and tagged camino, culture, documentary, film, nature, outdoors, photography, spirituality, The Way, traditions. Bookmark the permalink.